The Reif has a strong partnership with the Itasca Orchestra and Strings Program, a like-minded educational nonprofit intent on training youth in the arts. Their office is at the Reif Center and the orchestra performs numerous shows during the year and trains students on site in its studios. Recently Tammy Mattonen joined the orchestra program as its executive director. 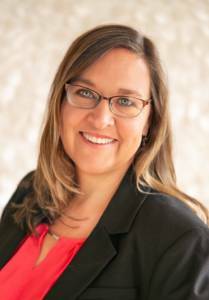 Tammy Mattonen, new executive director of the Itasca Orchestra and Strings Program. In addition to being a founding board member for the Crescendo Youth Orchestra of Hibbing, Mattonen volunteered there as an administrator for six years. She has a Masters in Nonprofit Administrations and is a Certified Public Accountant.